I got my Fantasy Trip Legacy box on Friday. Then the next day I got a email from SJ Games saying it shipped. Looks like they really got this Infinity thing nailed down tight. So when I opened the box and removed the plastic the above is what I got. All I got to say that is one monster box. 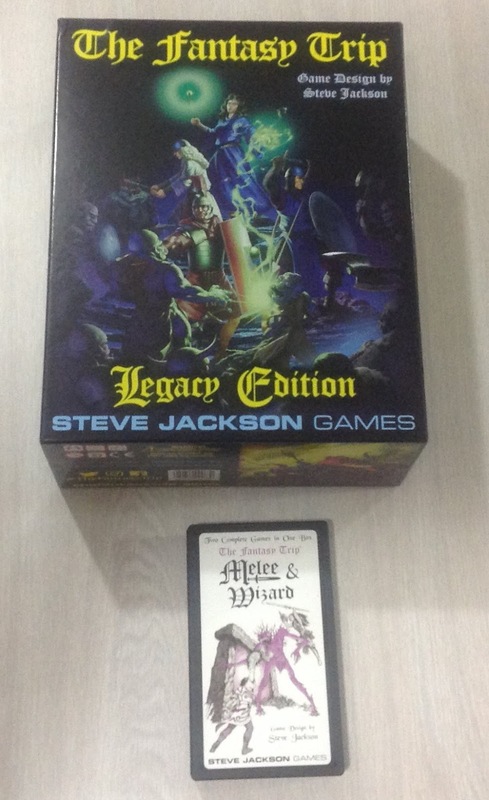 I also picked up pocket box version of Melee/Wizard. It thicker than the original but it also nice quality cardboard counters instead of the stiff paper version of the original. I think anybody who want Melee/Wizard for a wargame is going to be pleased with the pocket box version. I then opened the box. It nice how they made the inside box lid a function aide in it own right. It can be used as a drop table to generate a random dungeon. Removing the cover sheet and the contents we get. 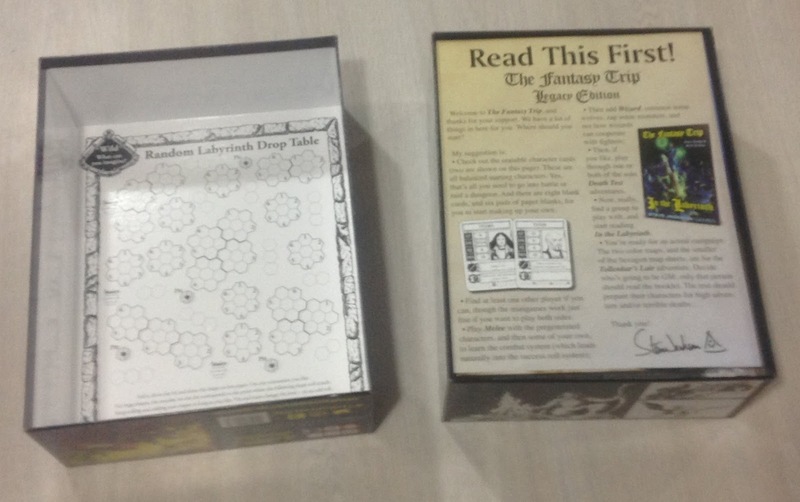 As for the packing, note they cleverly put two finger wholes in the The Fantasy Trip Mega Hex lid. This made it super easy to pull out from the bottom. 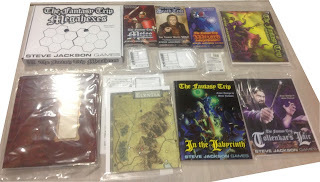 As for the rest, you get the paper boxed set of Melee, Wizard, and Death Test. A very sturdy referee screen. 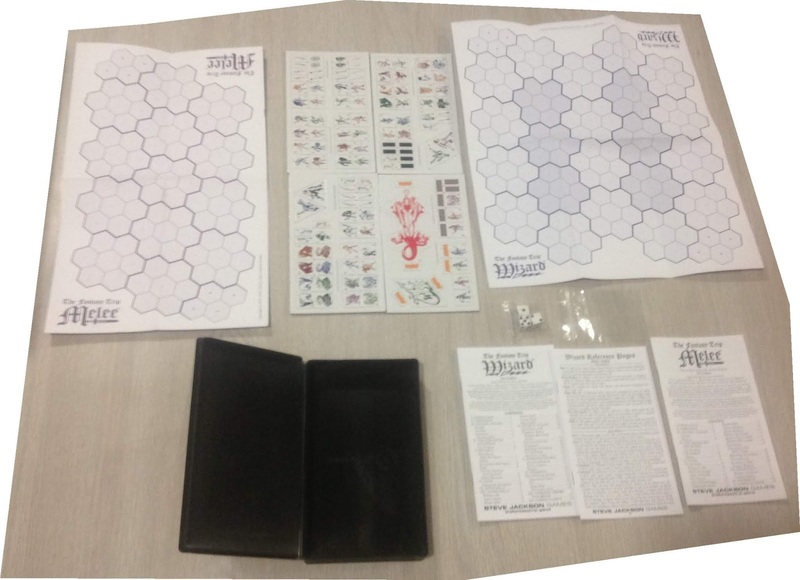 A expanding file folder style organizer, two poster maps, In the Labyrinth main rulebook, reference book, and Tollenkar's Lair adventure. 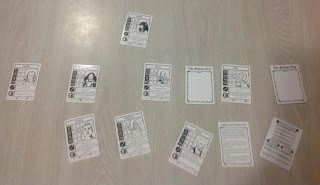 Along with dice, a deck of pregens, and pads of character sheet (two sizes). It was exciting to open this up and look at each item. Definitely felt like I got my money worth even though I didn't get the "Get it all" level. The remaining leaves of the front of the referee's screen. Overall I think this is a outstanding product for a RPG. 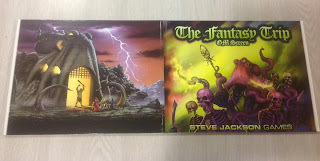 Steve Jackson and his team did a great job with this. One of the best part going forward is there are multiple entry points for people to try out the system before deciding to buy into the line. Right now I am in the midst of preparing Wilderlands of the Magic Realm for publication. 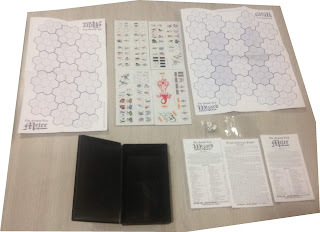 Once I get that done, I will setup some of the counters and megahexes and do a run through of the system. 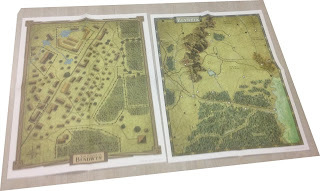 I have no experience with (and hence no nostalgia for) the FT ... but that box set looks amazing! Thanks for going through your box. My copy of the Legacy Edition is supposed to get here tomorrow. I can't wait. I got mine Saturday morning, and my email telling me it shipped about 10 hours later. I got mine on Wednesday afternoon and the email on Friday night! I did get the I Want It All package, because I remember the game fondly from the early 80s. 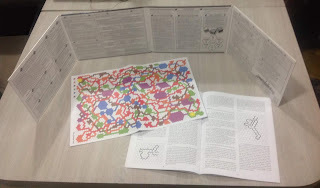 The play mats are very nice (they don't slide around the table the way a paper mat can) and I really like the hardcover rule book. If I'm explaining the game to new players, there are two copies so they can follow along.